The Glee is Gone --- Forever! Do you think that this is very awkward for a guy to watch glee? hahahahaha. I have been catching up with US TV shows and this post is actually long overdue. Glee has ended its series last March of this year and i just watched the 2 hour finale episode last week. For glee fans, i think, as what i read from the comments as well, that the show has wrapped everything well in it's ending. This show has inspired me a lot because they convey the message of hope, chasing your dream (pressing on even the odds are against you), family, respect and diversity. Aside from this moral lessons that i learn for the last 6 years on its running, it also helped me to understand music, its importance, the genre differences and most of all, applying your own touch/signature to the music, as you see, glee always mash everything up and switch the song genres from one to another. Also glee helps me catch up with current songs, the old ones, broadway, country, discover different artists, totally a musical journey in every episode. Glee, truly made me grow as an artist and musician. As the show runs, we also lost Cory Monteith, our quaterback that shocked the world and the fans which affected the story line. I really wondered how Lea coped with the loss because all through out, Lea never showed weakness. I admired her for that. The two hour finale episode was fantastic! At the first hour (entitled "2009" ) they flashback the humble beginnings of New Directions. I was like "oh my? 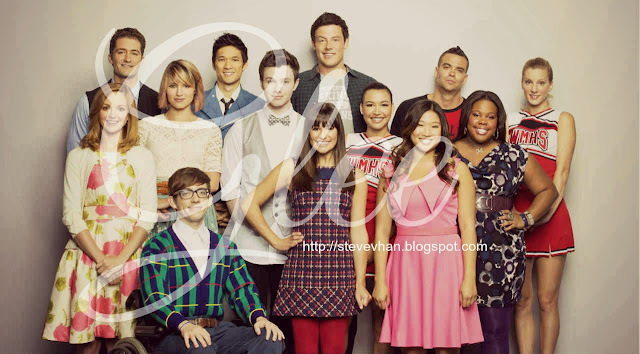 I loved glee! and this is the time when the world is in love with the show as well, i was in college at this time and fallen in love with the music, thanks be to glee". Almost about to cry, but reading the comments online, other fans also felt the same way i did, and they even cried! hahaha. The 6 year journey of glee is also the 6 year journey of its fans (like me), seeing it ends, truly a heartbreak because a lot of things happened in the show ( even in our real lives ) that made us relate our life dramas to the show. The last 3 seasons, i think glee declined its popularity, read few comments again from fans that they went back watching the show because it's ending already and the flashback part made them realize that the show, somehow also changed their lives. Watching its flashback episode rekindled their love with the show when it started. The second hour episode (entitled "Dreams come true") is about their present-to-future lives, how the simple students and glee club members of West McKinley High School in Lima, from their graduation to the City of New York to different places became successful in their own careers. Truly "dreams do come true". So, to wrap everything up, here's my top 10 list of my favorite glee songs that made an impact in my view of life, my career, my understanding about music, genre and artists. 10. Ding Dong the Witch is Dead - Knew what the broadway is all about, "Wizard of Oz". 9. We Are Young - Discovered the band Fun. The Scientist - All the way to 90's but hey! I discovered the band Coldplay cause of this, i also became an instant follower of the band. 8. Rolling in the deep - The song haunt me for weeks, what a good rendition, the vocal of both are like "jaw-dropping moments". I attempted singing the song by hitting Jesse St. Jame's version. Made me discover who Adelle is, that's the time that she's making a name. 7. Need You Now - Great duet, great Puck vocals and guitar, made me inlove with the song. I discovered Lady Antebellum, through this song, i started following the band, they're such talented artists!. 6. What the world needs now - Oh, who doesn't want to be in love? Here's To Us - Just an inspiring song. 5. Chandelier - I got excited on this and this also gave me an "O"moments. Aside from the fact that the song and the presentation was good, this is also the moment that i got chilled cause the new directions is on their regionals and i knew that they nailed it! 4. Loser like me - Just can relate, this is again another inspiring song from glee. I LOVE THE CHORUS! 3. Bohemian Rhapsody - I DARE YOU TO WATCH IT AND TELL ME IF IT AIN'T GOOD! I love the shouting Quinn while having her delivery, very intense. This is one of the bests of glee really! 2. I lived - where all the artists that became a part of the show came together starting from season 1, that's truly a heartache! 1. Glee Jouney Medley - Power pack! Faithfully + Anyway you want it + Don't stop believing. This is the hit that made everyone loved glee and a reminder that there was once a Cory Monteith who lived. The song totally inspired all not to stop believing. So what's your favorite glee covered song? Never watched it, but you make it sound great! I remember when Mary Tyler Moore decided to end her series and how lonely I felt the last day. But I learned from her that ending while a show is a hit leaves the audience in a good place as opposed to tiring you out with episodes. Then when my daughter went to college, it became one of her fav's too! We watched re-runs together! I have not watched this. But whenever I watch a movie, I always put myself in the show. It becomes so real! I changed my url: http://arcadia.ofblue.org/ and I saved my entry. :D I am from Color Musing. And while, I had problems with Glee, I enjoyed it a lot. I never got to see even one episode of this! I also like their covers of old and new songs. Minsan, mas naaappreciate mo kesa sa original. I think it is perfectly fine for a man to like to watch Glee because Glee is all about the music and many singers are men. Gusto ko lang talaga to nung mga unang season lang. Anlabo na ng kwento nung mga middle part.. Ang lalandi na ng characters. I'm not really a big Glee fan pero may mga nasusubaybayan din akong ilang mga episodes nila, specially dito sa final season. This is uso when I was still in college but I'm not really after what's trendy. I'm not sure if I've tried watching it once or twice when charice pempengco is there. I think I'll add some of here in my playlist.